Today’s Lesson: Leaders don’t let issues fester and grow and spread – they address them as they happen. At most, mediocre managers talk about performance at the beginning of the month (when targets are set) and then at the end of the month (when targets are missed). 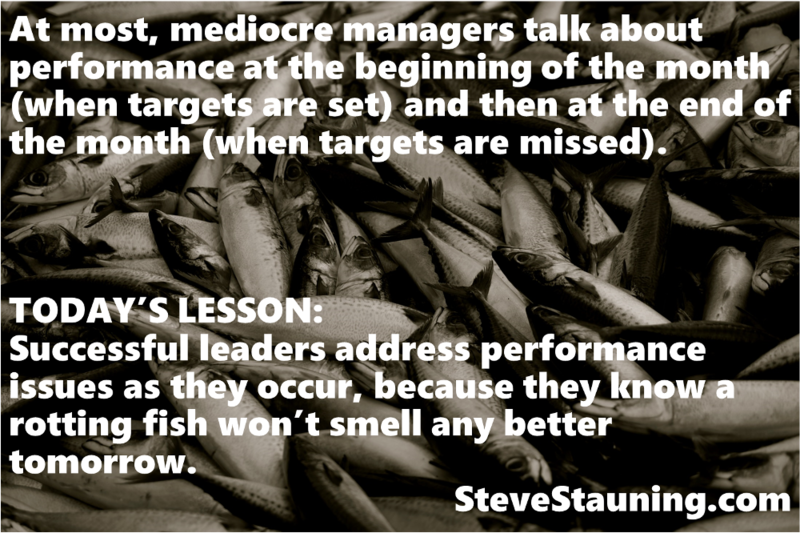 Successful leaders address performance issues as they occur, because they know a rotting fish won’t smell any better tomorrow.